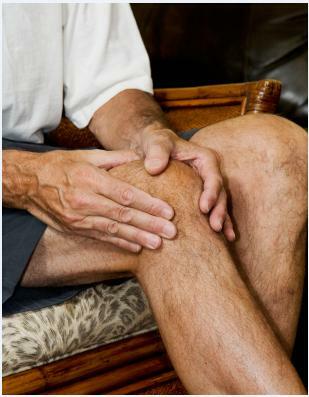 Suffering from arthritis can make it extremely difficult to stay active and upbeat. How do you stay healthy and avoid depression when certain crucial movements are painful? Furthermore, how can you remember to take the steps you need to keep arthritis manageable? Studies show that at least half an hour of physical exercise every day helps maintain health and fitness. If 30 minutes of sustained walking is impossible for you or your loved one, taking three 10-minute walks will serve the same purpose. If you are receiving extra care at home from an agency with a home care system such as ClearCare, you can use their home care software to create an exercise plan. With ClearCare’s home care software, you can schedule a shift containing tasks with associated times. This can function like a to-do list and an accountability aid. With ClearCare, you can have your own log-in to review your walking and exercise schedule for the day. If you’d prefer to receive a more personal reminder, a caregiver can review your daily tasks using a home care system and help you stay healthy. If you or your loved one has tried exercising in the past and found it too exhausting, simply having a companion for encouragement might be the difference between frustration and accomplishment. To reduce pressure on joints, you can strengthen the muscles around the joints. The best way to do this is to do strengthening exercises. A strengthening exercise is any motion that works the muscle without straining the swollen joint, either by flexing or straightening the muscle. In addition to regularly scheduling strengthening exercises on a home care system, your caregiver can mark a range of motion exercise as incomplete and record when you have substituted with a strengthening exercise on days where the pain of stretching the range of the joint was too overwhelming. Having arthritis doesn’t have to spell an end to your favorite hobbies. People afflicted with arthritis should avoid repetitive motions, but physically-involving tasks such as gardening are a great way of keeping your body active and your spirits up. Beyond helping you or your loved one remember to garden, having access to a home care system can help keep track of the state of your garden and what needs to be done. You can work with your agency to add a schedule of tasks into the home care software will help you, your loved one, or your caregivers remember what needs to be done to help your joints stay mobile and your garden thrive. Another wonderful way to help you keep tabs on your garden using a home care system is to have your caregiver record notes about the health of your garden. When you log into the home care software through your portal, you will be able to listen to these comments and track your garden over the past few weeks. Staying active not only improves general health, but will maintain lubrication to affected joints and reduce pain. Improving your flexibility and strengthening your muscles will lower your risk of injury and make it easier for you to get around. Finally, all of these activities will relieve tension and lower your risk of depression. If you or your loved one is struggling to maintain a healthy life style with arthritis, reach out to a caregiving organization that uses a home care system like ClearCare to help you get back on your feet and back in your groove.